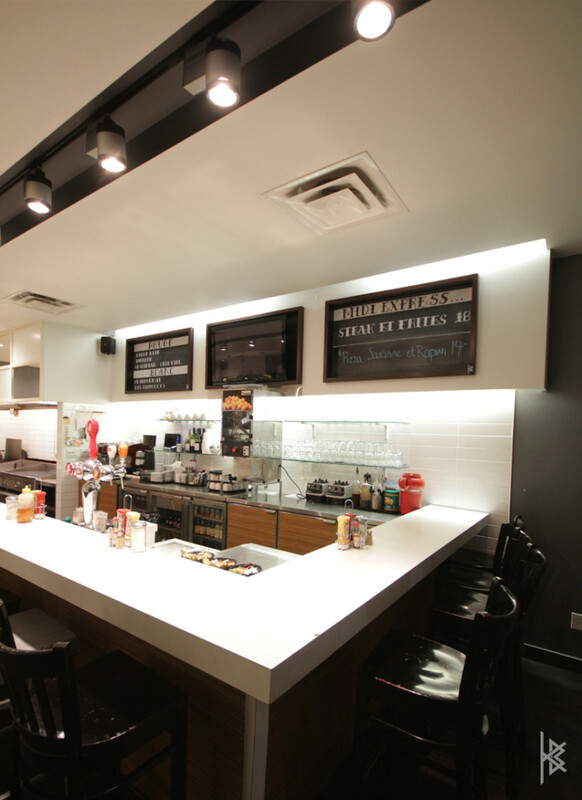 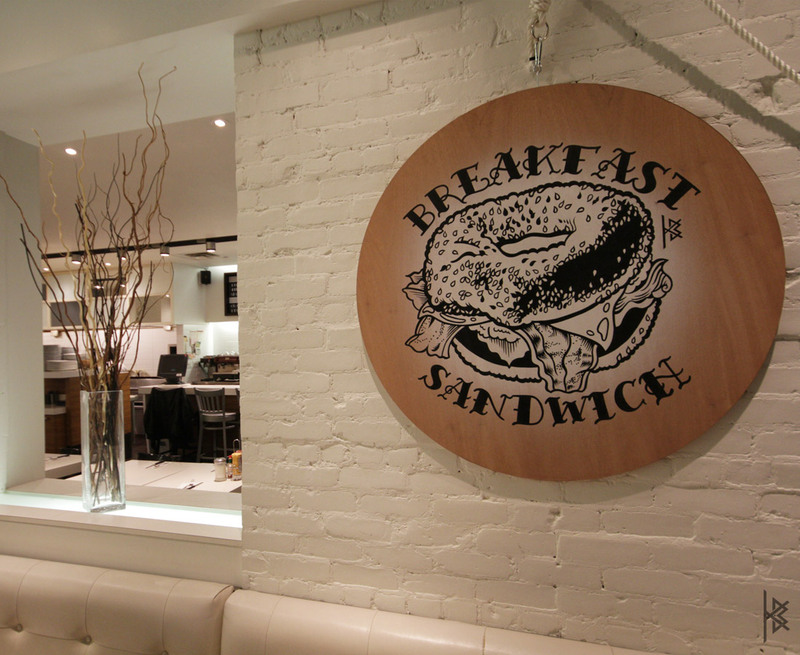 B&M is a breakfast/brunch diner located in the heart of the Mile End in Montreal (120 Saint Viateur O). 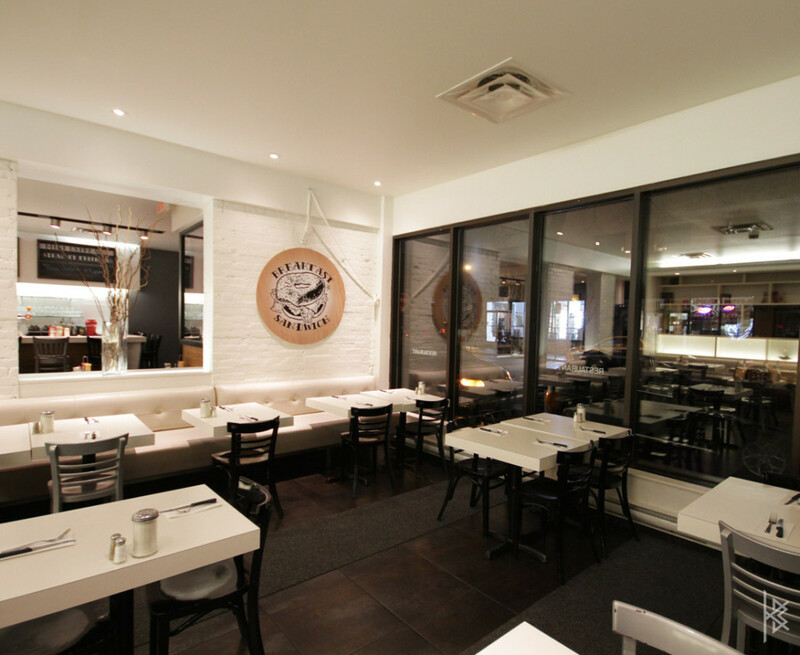 They pride themselves on consistency in their amazing menu and impeccable service. 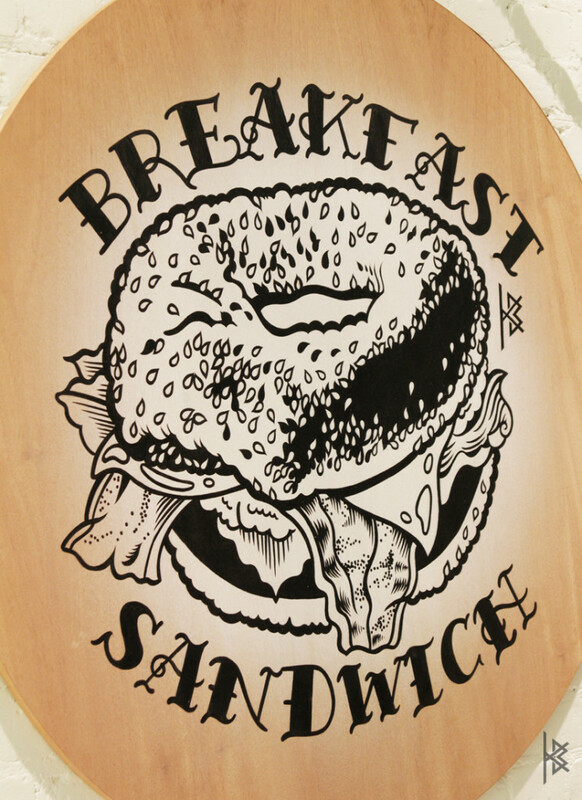 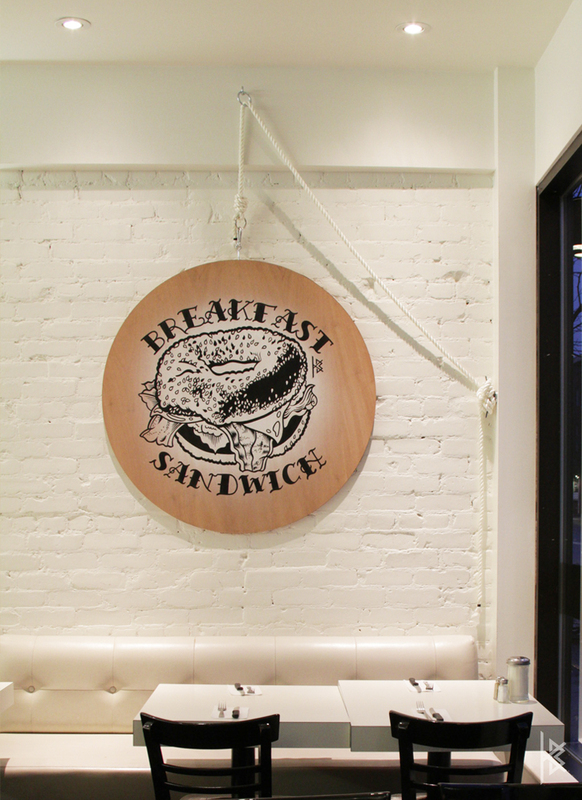 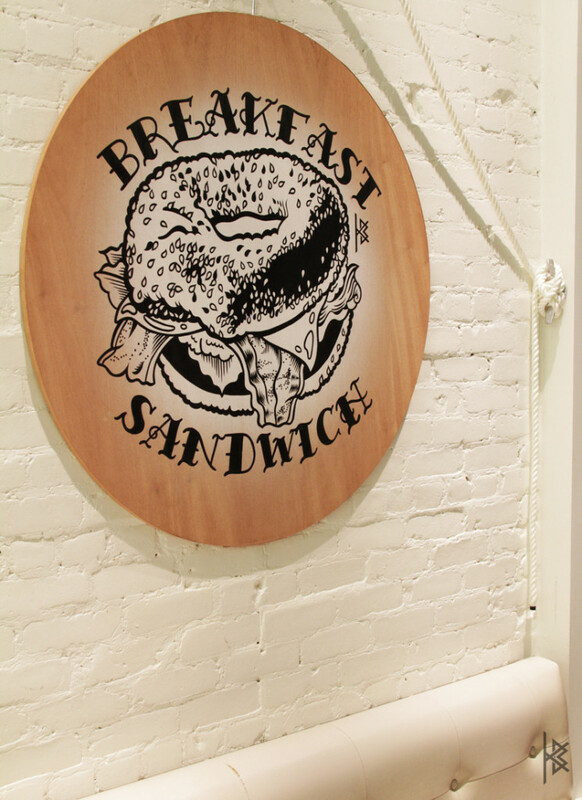 The Breakfast Sandwich first appeared in my Mile End Flash sheet for tattoos. 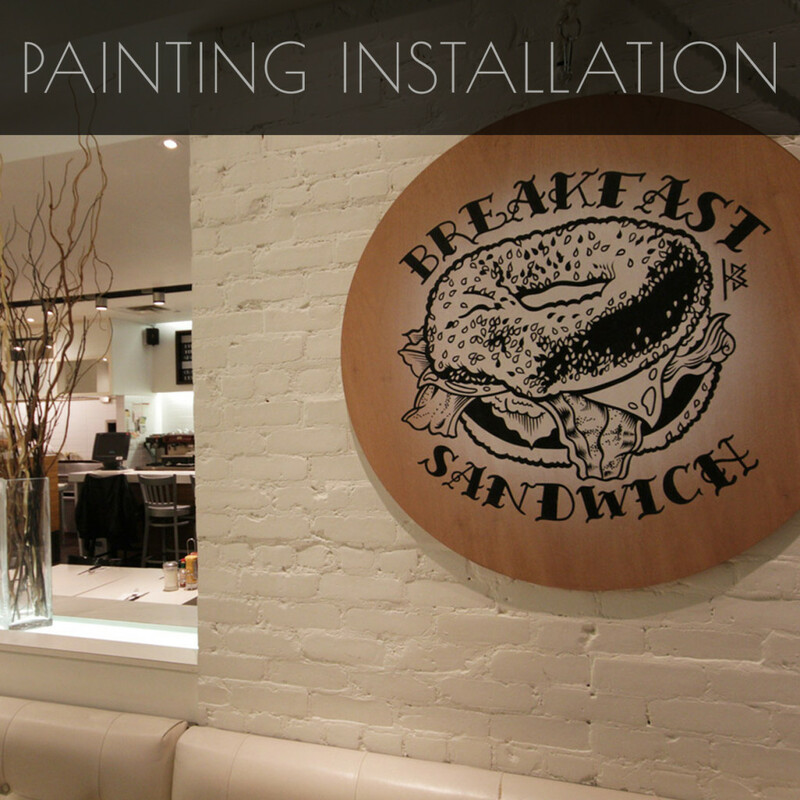 As I got to know the owners and staff, I showed them my tribute and they hired me to create this artwork inside the restaurant. 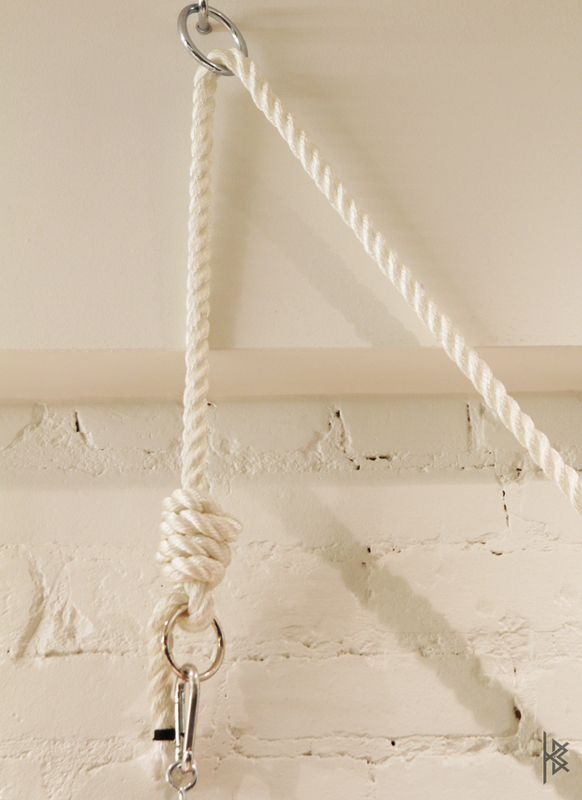 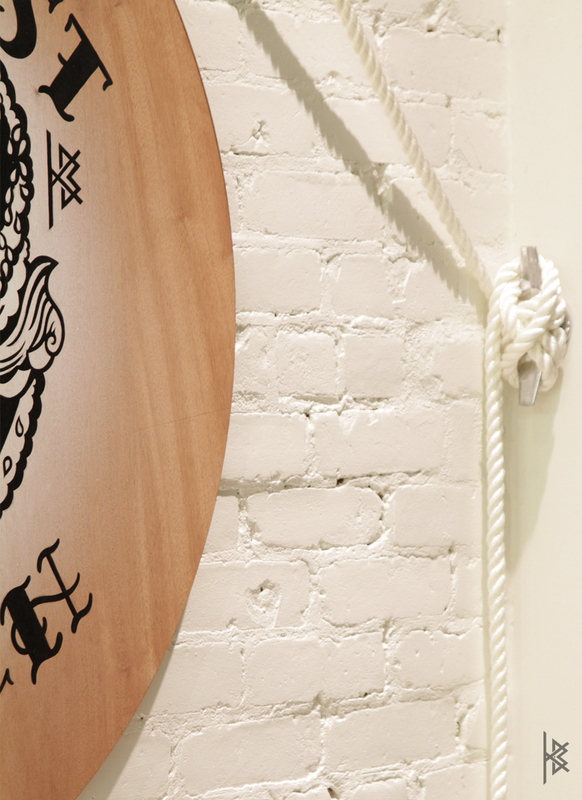 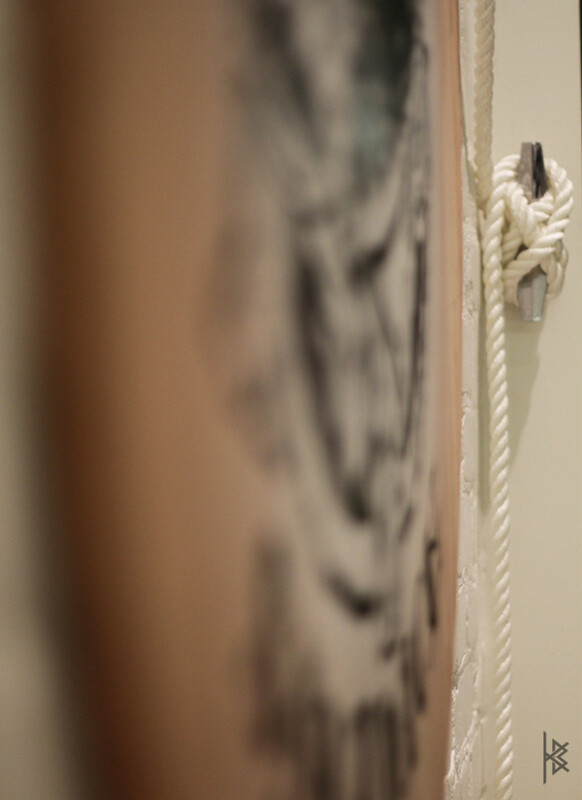 This flash drawing became a painting installation mounted by thick white silky rope and hung by industrial hardware from the ceiling. 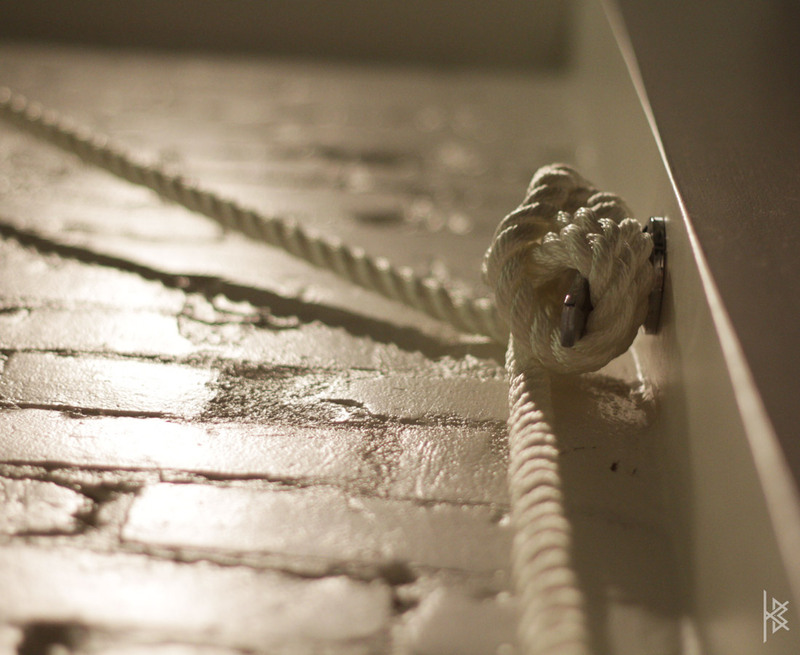 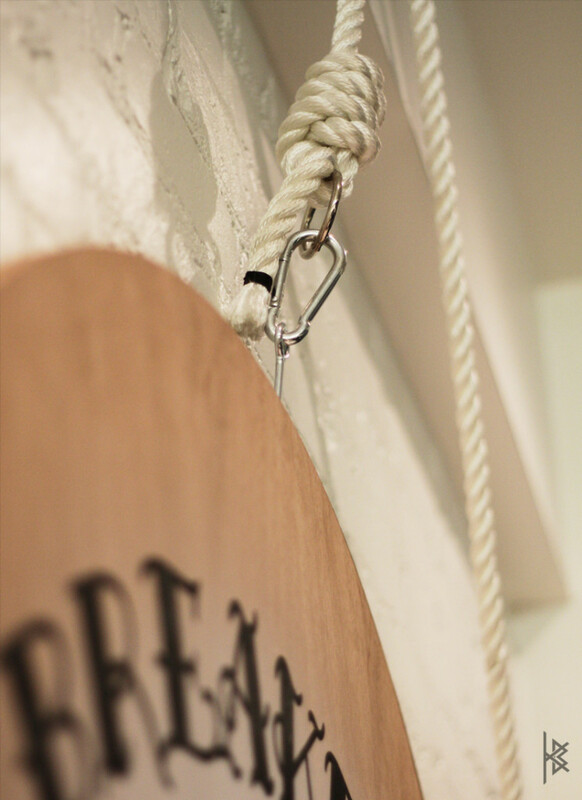 The feature that integrates the diner is the 1950’s boat cleat in which the rope is tied off on. 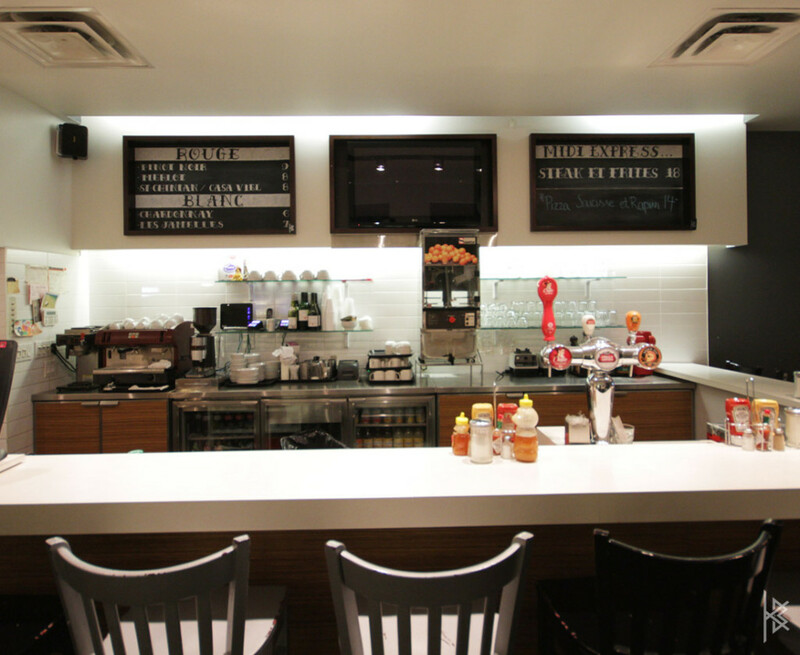 A modern take on a diner aesthetic. 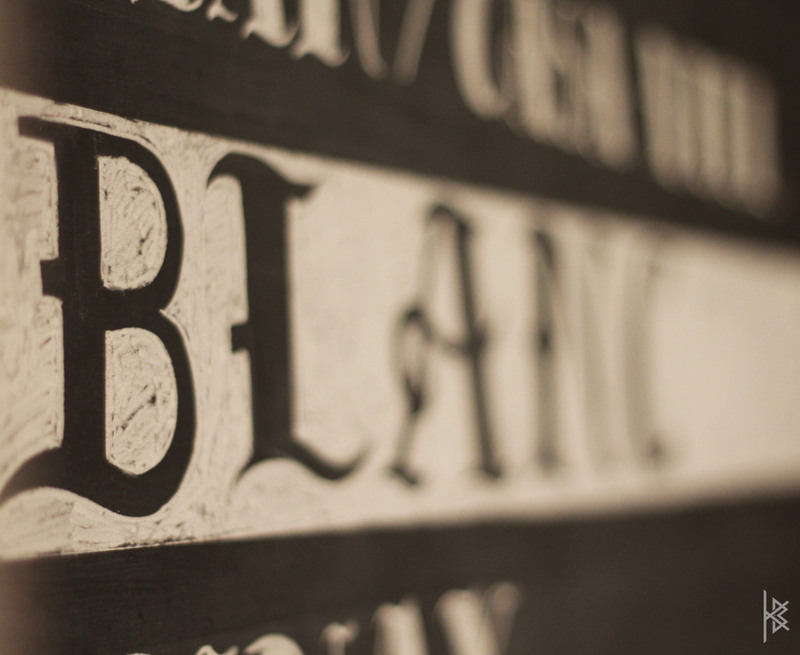 The type is an original font I created called the Krista Bursey Tattoo Font. 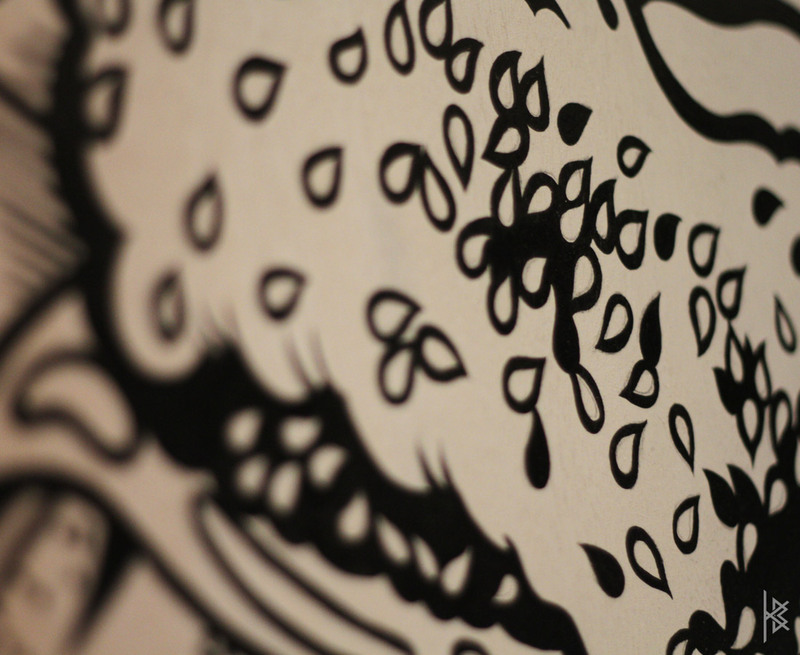 You can download it for free here. 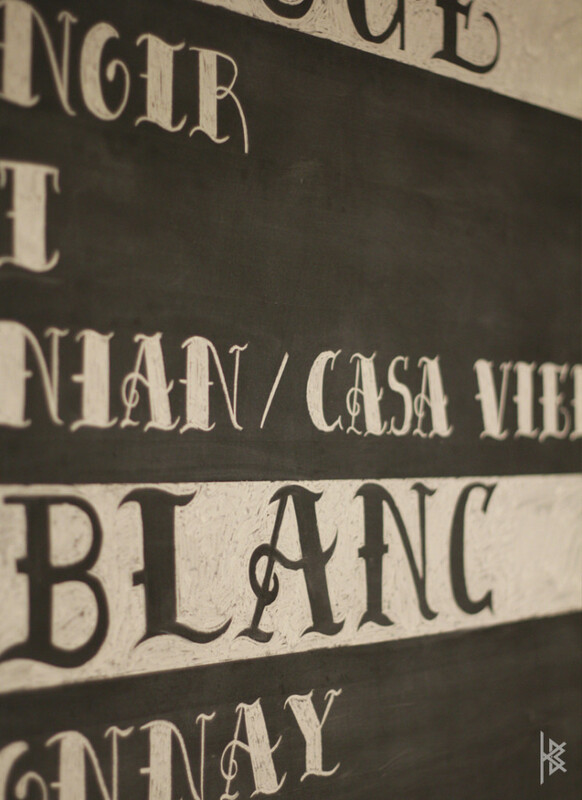 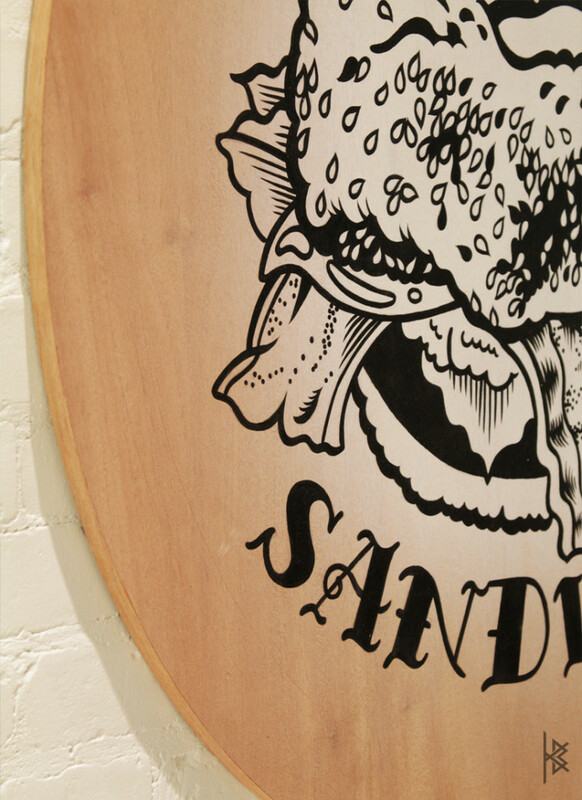 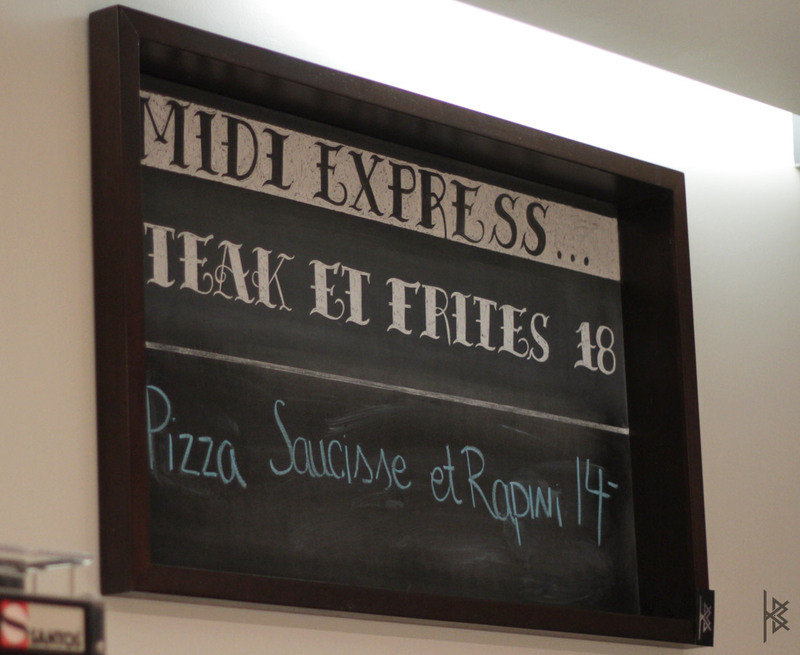 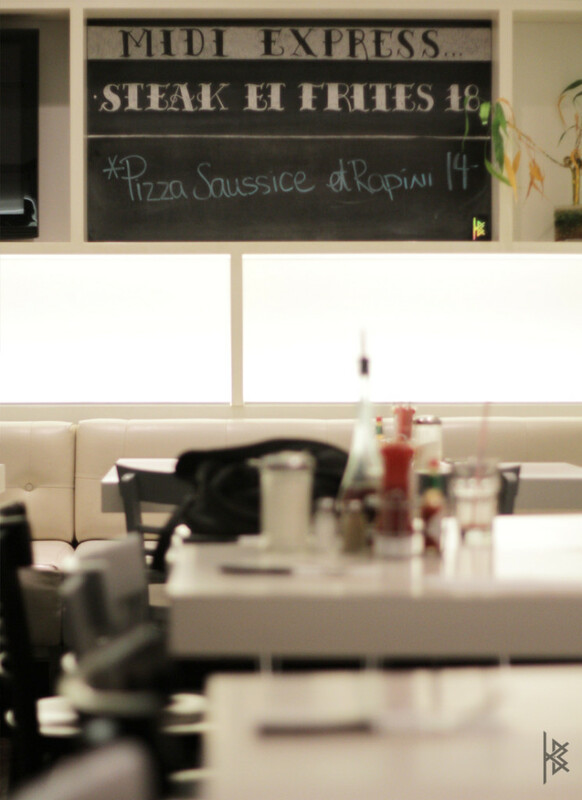 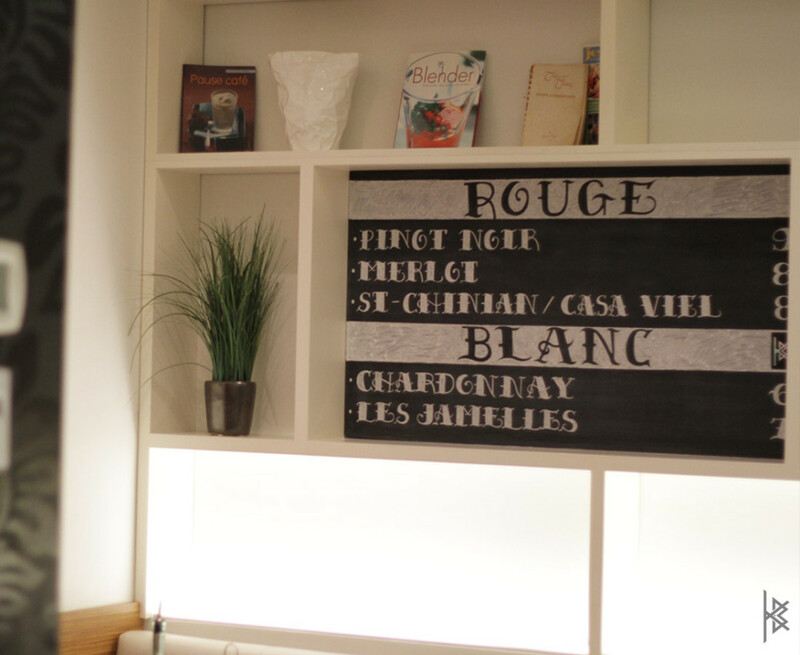 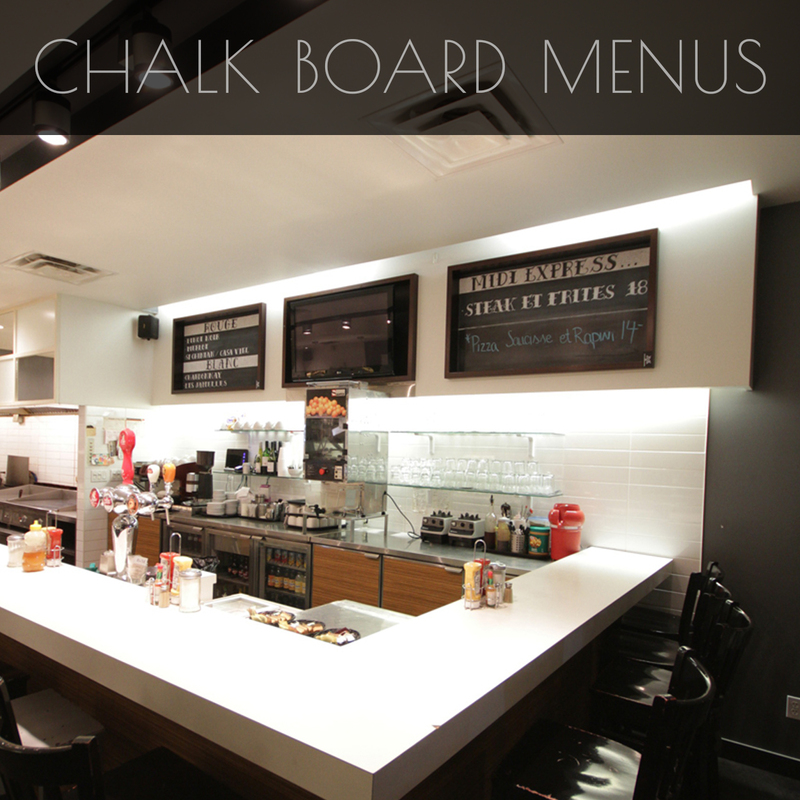 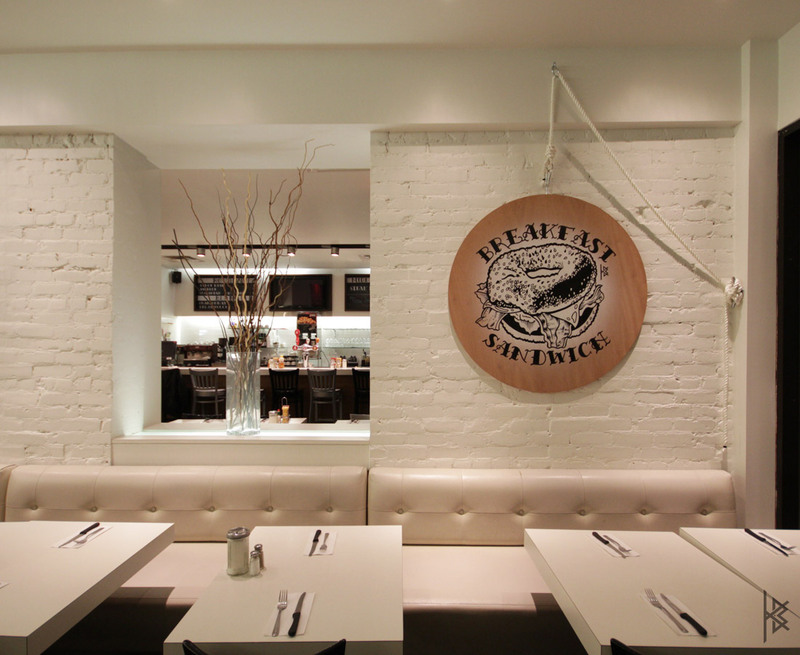 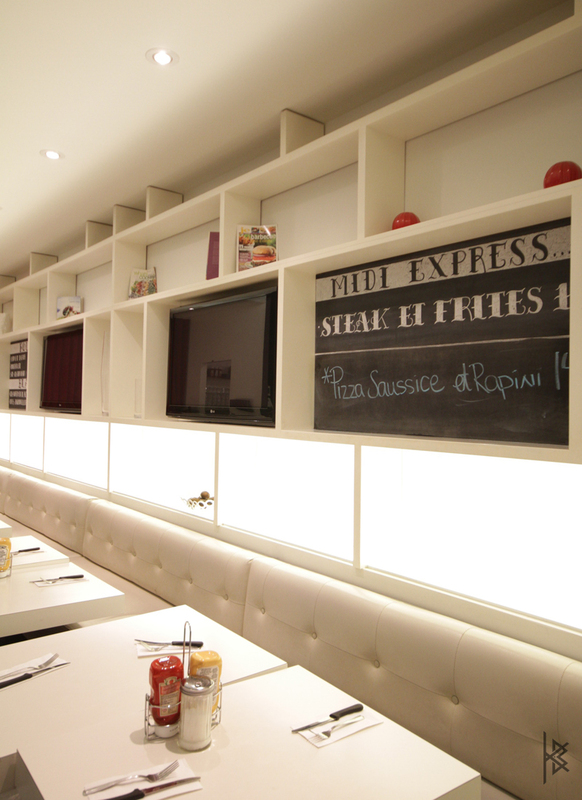 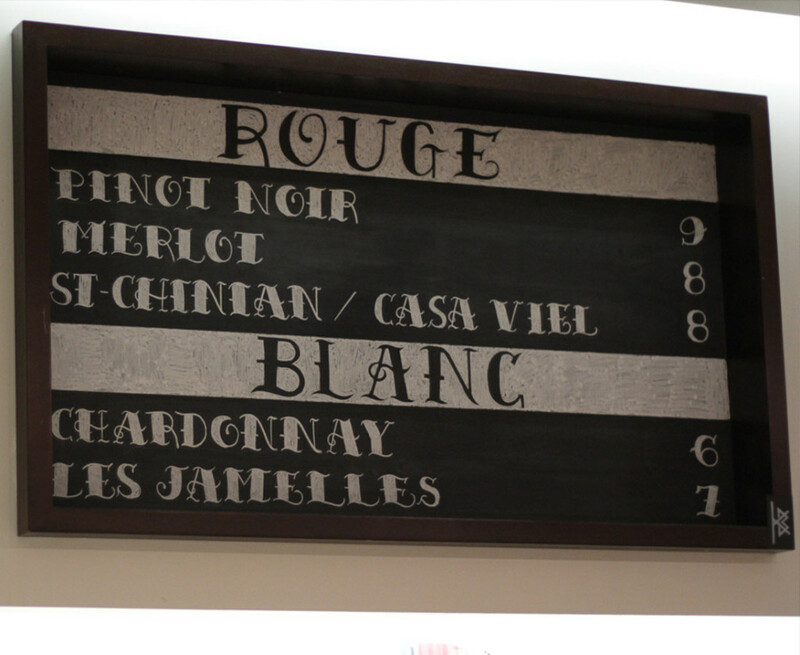 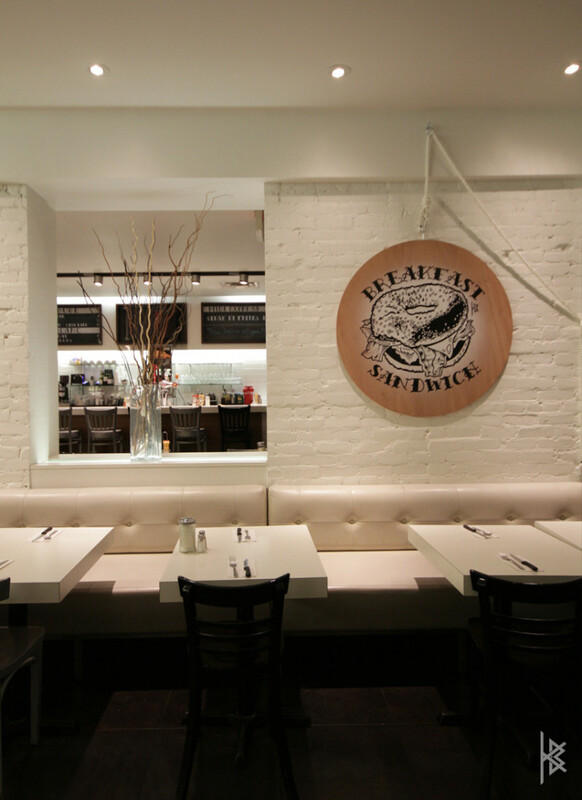 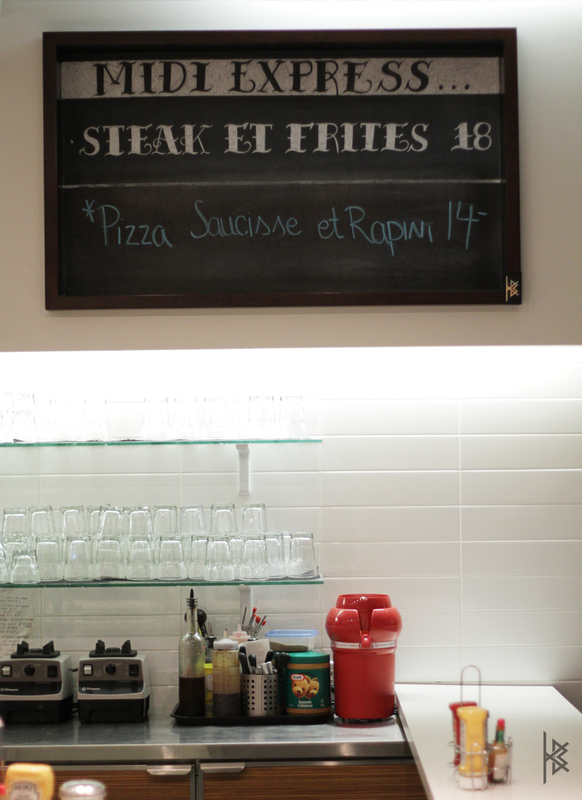 It now stars as the feature font of the restaurant appearing in hand drawn menus in chalk adorning the front and back.